A must-have decoration if you’re throwing a party. These colorful flags instantly light up the mood. A must-have decoration if you’re throwing a party. These colorful flags instantly light up the mood. 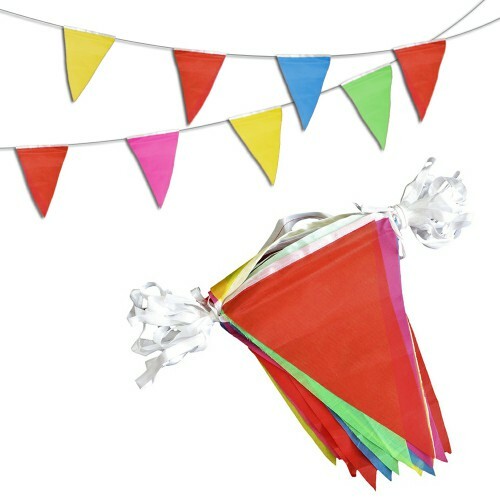 Hang them up and brighten your party! The color is very sharp and vibrant. In addition, the dye has been processed for UV fade resistance, suitable for outdoor use. Birthdays, Halloween, Christmas or grand opening of your business, these pennant banners will fit any occasion.